This past Thanksgiving break, as was expected, I dropped a bit of minor cash on all the great sales digital distribution providers were offering. Between some indie pack sales on Steam and some discounts on Xbox Live, I probably acquired a dozen new games over the last week. Some of them will end up like many others in my Steam list and never get downloaded, but others will undoubtedly end up being discussed on whatever end-of-year podcast we end up doing around these parts. I finally finished unlocking the last couple of characters. While this was more of a “for work” type of game, I was having a good time with it, nonetheless. As you will read, I have been enjoying the heck out of “Galaxy Mode” and its constant stream of dangled carrots. 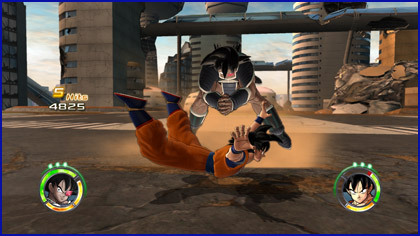 There are still a few characters I want to get back to and learn a little more in-depth, so it may be one of the first DBZ games in a long while that I actually return to after completing its review. On a whim, I tossed this goodie back in. After a couple rounds of reacquainting myself to the controls, I was back in the groove. It is no secret how much I love this game and how much of a crime I feel it is that these darn kids today do not respect it. 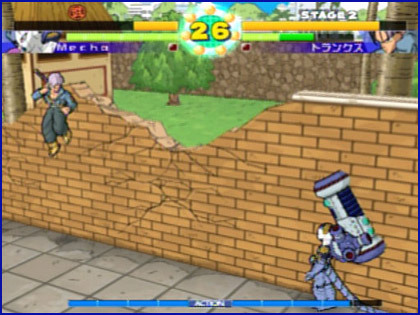 I played a good amount of rounds as my custom Mecha Freeza (whom is simply named “Mecha”), spamming all sorts of wonderful projectiles before rushing in with quick combos. “Crack Bomb” and “Freeza Cutter” have re-entered my daily lexicon. Consider yourselves warned. I note the Japanese version specifically because that is the one I originally purchased — the American release does not feature the original Japanese voice cast, a deal-breaker for me. VVVVVV (PC): $5 via official website, Steam, etc. I had been waiting on some type of sale or bundle before picking it up, since it was almost guaranteed to hit that point sometime soon in Steam. That being said, it is a steal at the regular $5 price point. The simple and limited controls of “left or right” and “change gravity direction” are brilliant and right at home in today’s world of platforming’s glorious return. The music is also fantastic and will have you tapping and thumping along. Much like the recent Super Meat Boy (which I will probably grab on Steam rather than Xbox Live, the only reason I do not already own it), the ability to instantly pick up where you left off after dying is exactly what these types of punishing games need to do to keep it fun and satisfying. I am most curious about playing the game without a controller in the later levels, as it seems so counter-intuitive to do any amount of progressively-difficult run-and-jump maneuvers on a keyboard, alone. Then again, some people say similar things about FPS games and equality of dual-analog sticks to mouse+keyboard… and those people are wrong… so who knows? I could be wrong about this control judgment. And Yet It Moves (PC): $9.99 via official website, Steam, WiiWare, etc. Part of another indie bundle on Steam, I had been hearing about it for a few weeks and blindly purchased it when the sale kicked in… and I could not be more happy with a purchase. 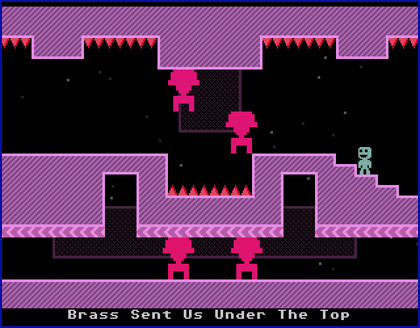 The art direction is jaw-dropping, and the twisty-world mechanics also fit in as a perfect complement to something like VVVVVV. Much like the aforementioned game as well, the checkpoint and instant-restart system in place is perfect for that “just one more level” tug. Everything about this game screams “quality” from the art to the haunting music to the puzzle design, and you owe it to yourself to check it out. A WiiWare version was recently released, though I have not checked out the demo to see how it plays on the console. I have never been particularly “good” at any game in the series, but its extraordinary music and difficult-yet-fair level design always brings me back around. While I rented III more than any other as a kid, I recognize the quality of II just as much. 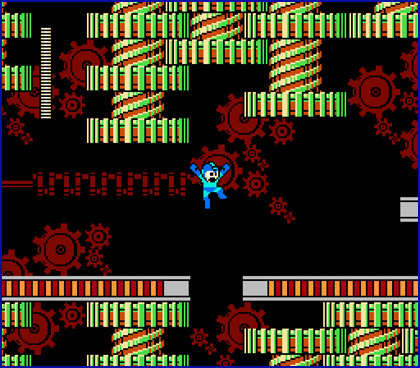 My session with Mega Man II was just filler in between some other obligations, so all I did was breeze through Metalman’s level… but it was enough to get those memories flooding back. Sure, I am a couple weeks late on this one by the blogosphere’s watch, but who cares? It is an absolute blast. I have been playing in bits and pieces and am still only on my first run through (I am about twelve years in and have completed 32 games and done a few contract jobs), but I cannot wait to play through again. 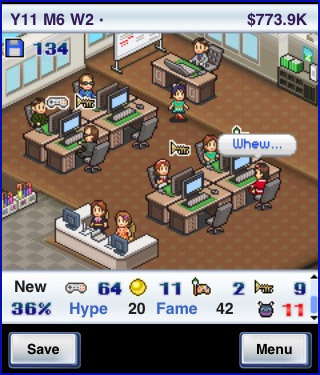 Having now learned all the ins-and-outs of which systems will come when (which should have been obvious, but I was not expecting pun-erific accuracy down to the Bandai Playdia), what the benefits are of training and hiring certain employees, what the best types of game and genre combinations are… what is essentially “Let’s Play Game Management Company! 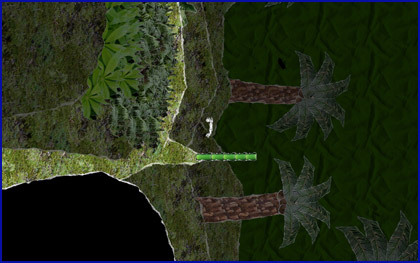 : The Game” could not possibly be more fun. Certain aspects are a little rough around the edges, but its cute factor and attention to detail are overwhelming. So many other games were acquired and not-yet-touched (‘Splosion Man, Trials HD, Gish, Recettear) that it simultaneously fills me with both joy and dread! This all got me thinking, though: what are your “holiday trends” with regard to gaming? Do you dive into one specific game and not move onward to the next one until that first one is complete? Are you like me and cruise from parts of one game to parts of another game, making slow bits of progress along the way? Also, did you snag any great deals over the last week? Nice to see a blog post again, keeping the website alive. But on your DQ9 story: the game was meant more for multiplayer then for singleplayer. I need to finish it as well and I think I have the same symptoms as you: lking the beginning more then the end (going around towns saving little/big problems). P.S. : I’m having trouble downloading the earlier vgconvos episodes. I was planning on relistening to them (yes I’m that weird). P.P.P.S: I just wanted to put this here. What’s your opinion on the 3DS and the Store which has the old handheld games on it?